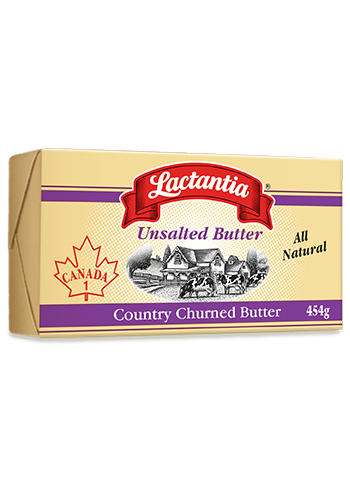 Ingredients 4 large pork chops 1 tbsp Lactantia® Unsalted Butter 2 tbsp + 1 tbsp extra virgin olive oil 2 garlic cloves, chopped 2 tbsp grainy mustard 1 cup chicken stock ¼ cup Lactantia® Cooking Cream ¼ cup fresh parsley, chopped 1 tsp salt 1 tsp pepper Directions Preheat your oven to 400 °F (200 °C). In a large non-stick pan, heat the extra virgin olive oil and butter. Season each pork chop with ¼ tsp salt and ¼ tsp pepper. Sear the pork chops in the pan and place on a parchment-lined baking sheet. Bake pork chops in the oven for 20-25 minutes, until cooked through. In the pan used to sear the pork, add the remaining tbsp of extra virgin olive oil. Sautée the garlic for a minute and add in the grainy mustard. Deglaze with the chicken stock and reduce by half. Add in the cream and the chopped parsley, adjust seasonings and serve over the pork. 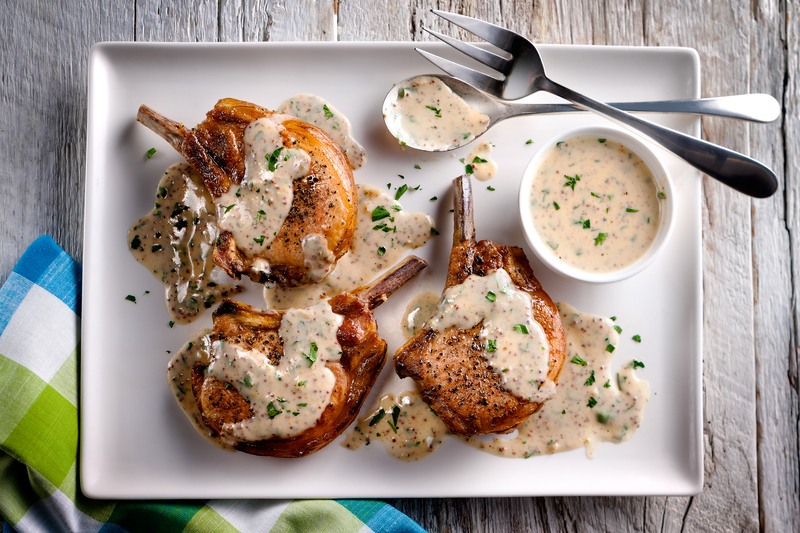 Tangy, yet creamy, mustard sauce is the perfect balance for savoury pork chops. Refrigerate leftover sauce for your next meal of pan-seared salmon or roast chicken. Preheat your oven to 400 °F (200 °C). In a large non-stick pan, heat the extra virgin olive oil and butter. Season each pork chop with ¼ tsp salt and ¼ tsp pepper. Sear the pork chops in the pan and place on a parchment-lined baking sheet. Bake pork chops in the oven for 20-25 minutes, until cooked through. In the pan used to sear the pork, add the remaining tbsp of extra virgin olive oil. Sautée the garlic for a minute and add in the grainy mustard. Deglaze with the chicken stock and reduce by half. Add in the cream and the chopped parsley, adjust seasonings and serve over the pork.